Cusco adjustable front strut bar for 93-01 Impreza GC8, BD BG Legacy and SF Forester. It clears top mount intercoolers. 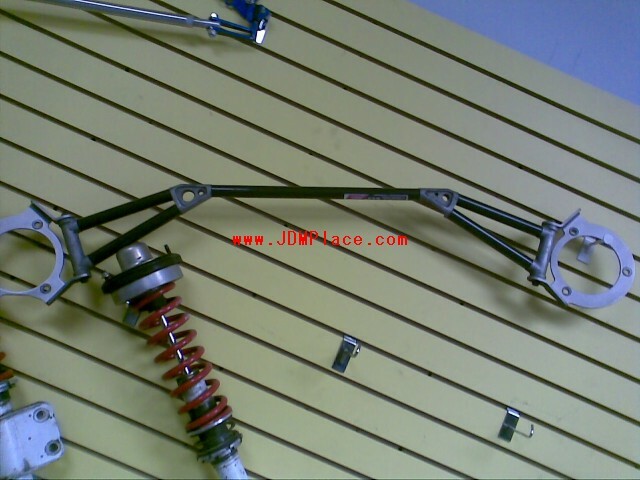 Cusco rear aluminum strut bar for 98-01 GC Impreza sedan or coupe. JDM Impreza STI Version 6 GC8 front carbon fiber strut bar, fits 93-01 Imprezas, 97-01 Foresters and 95-99 Legacys. JDM DC2 Integra type R front strut bar, fits 92-00 Civics, 94-01 Integras and Del Sol.